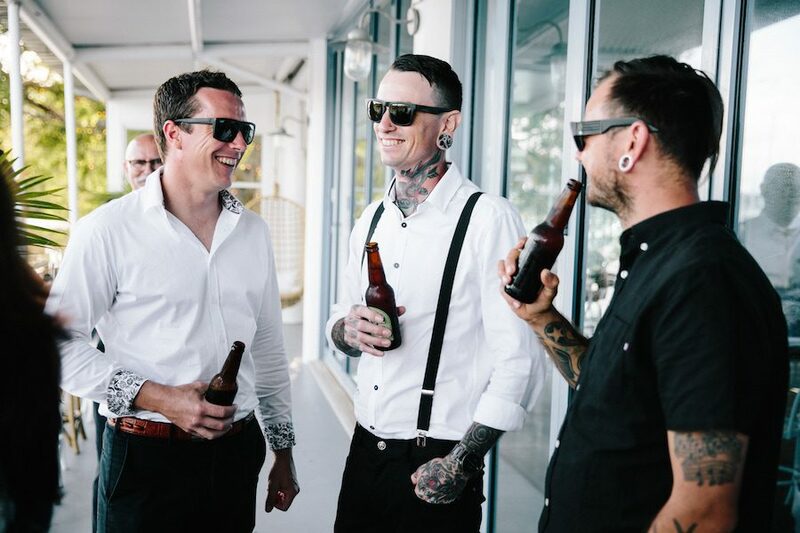 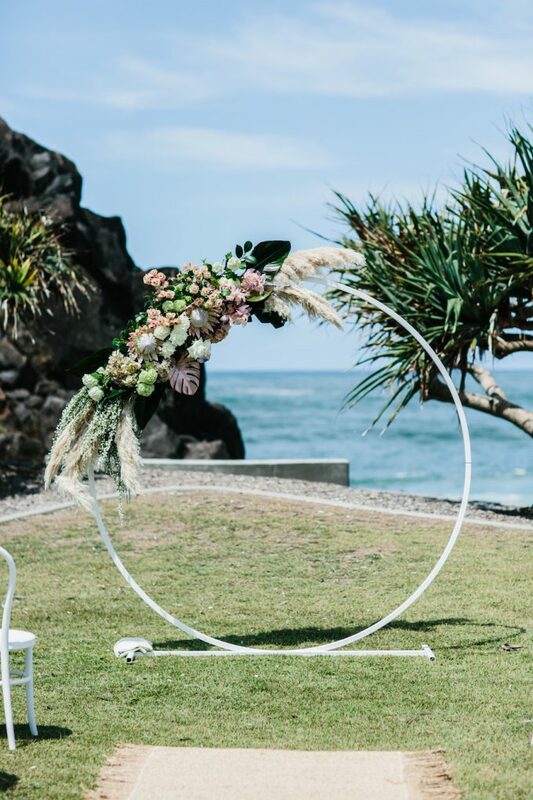 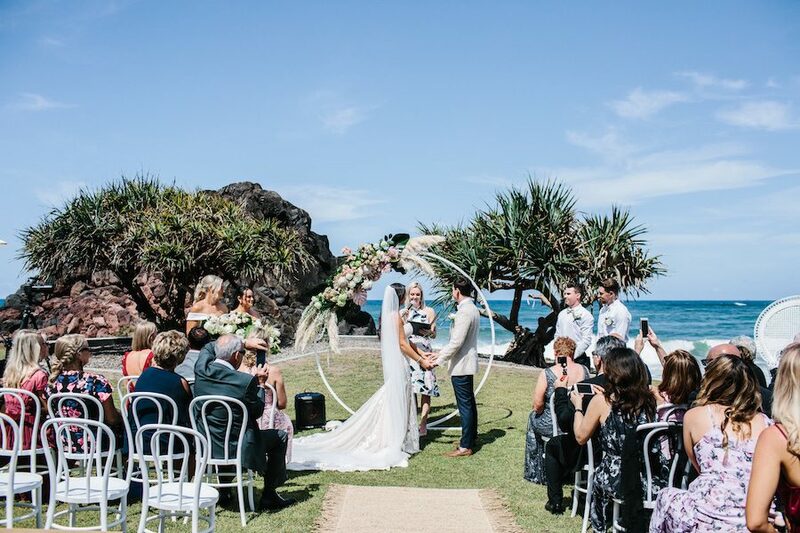 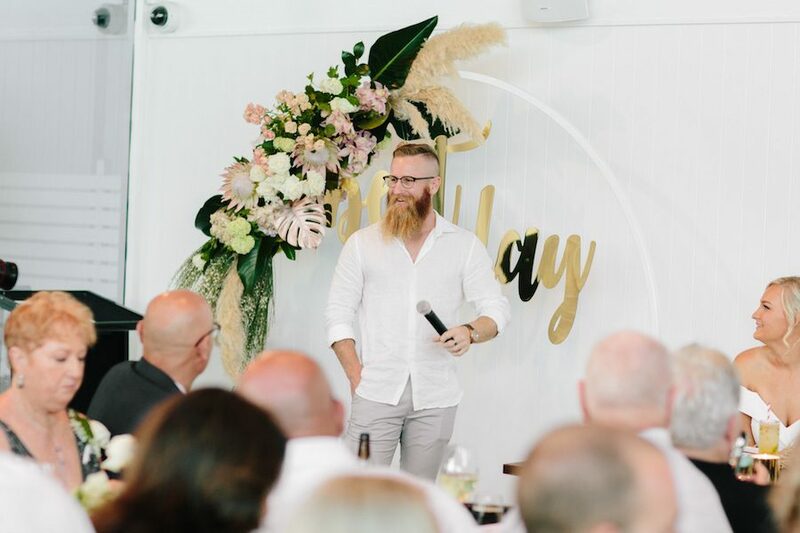 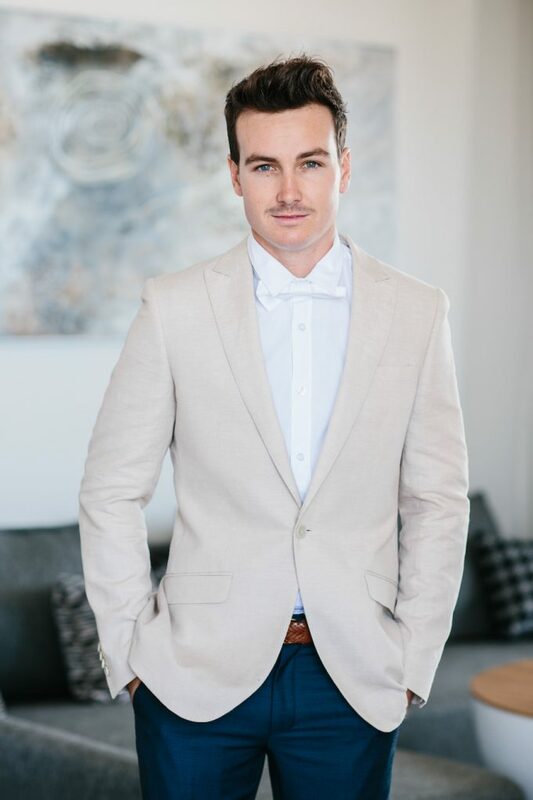 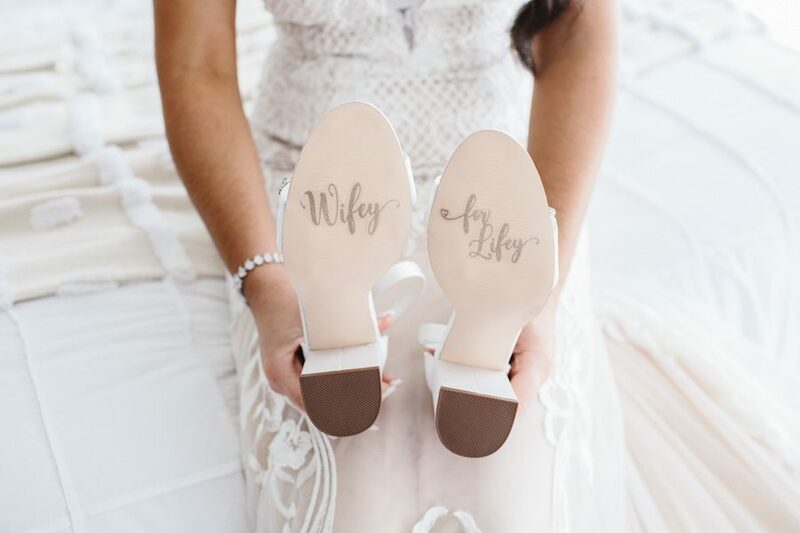 Here on the Tweed Coast we are certainly spoilt when it comes to ways to integrate water into your wedding day. 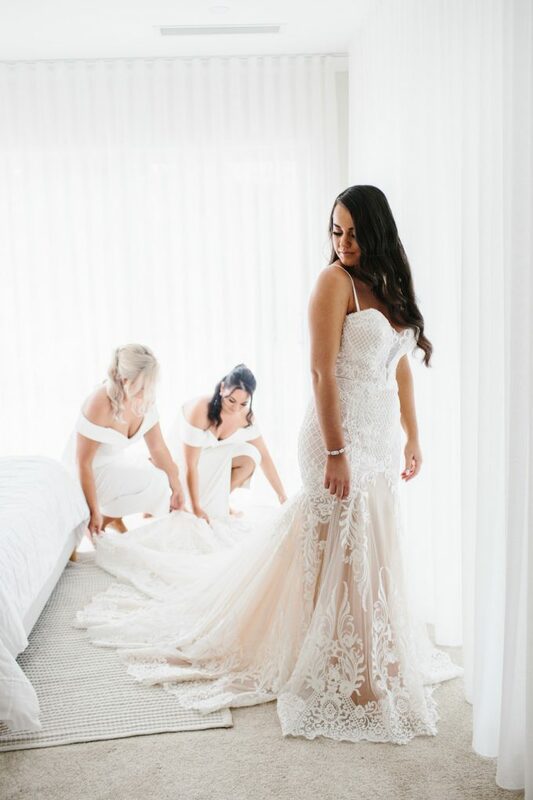 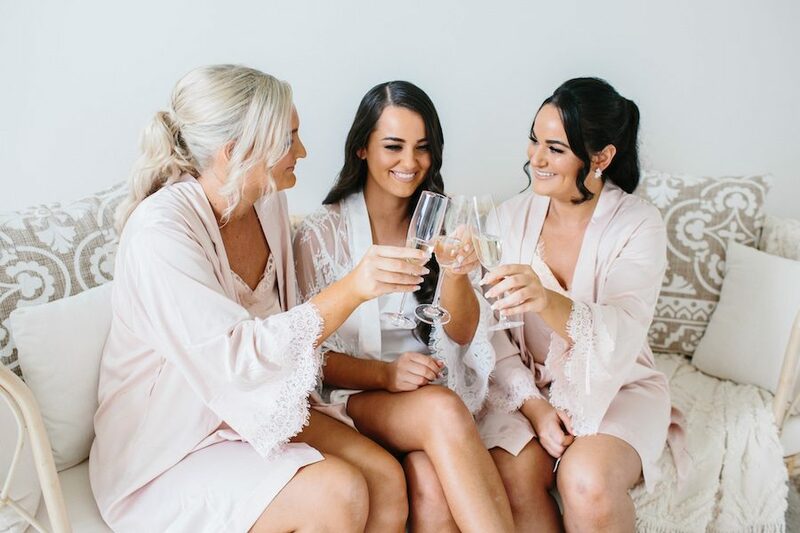 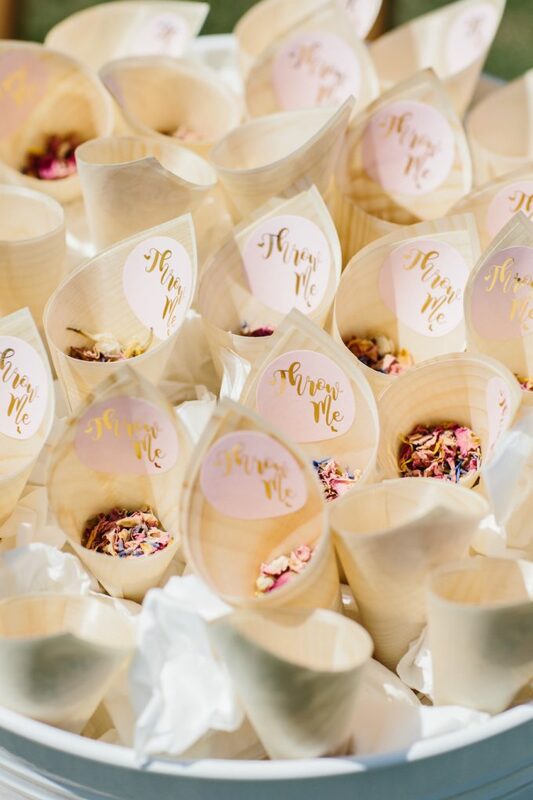 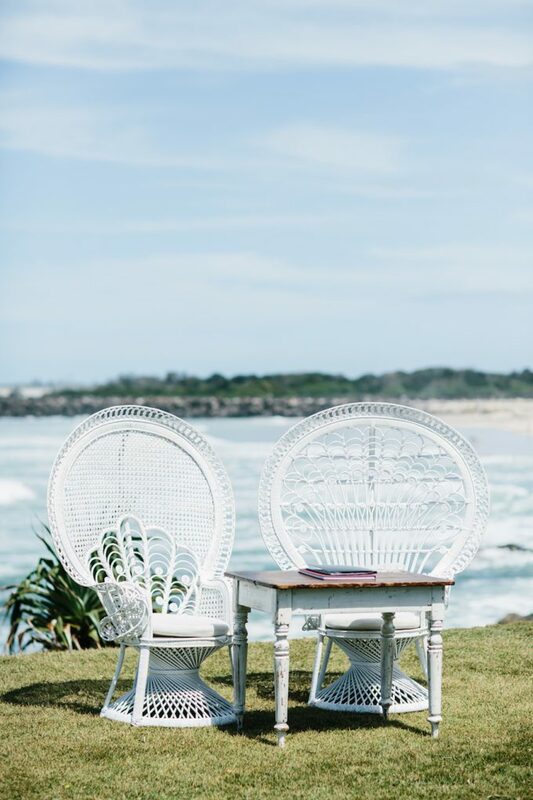 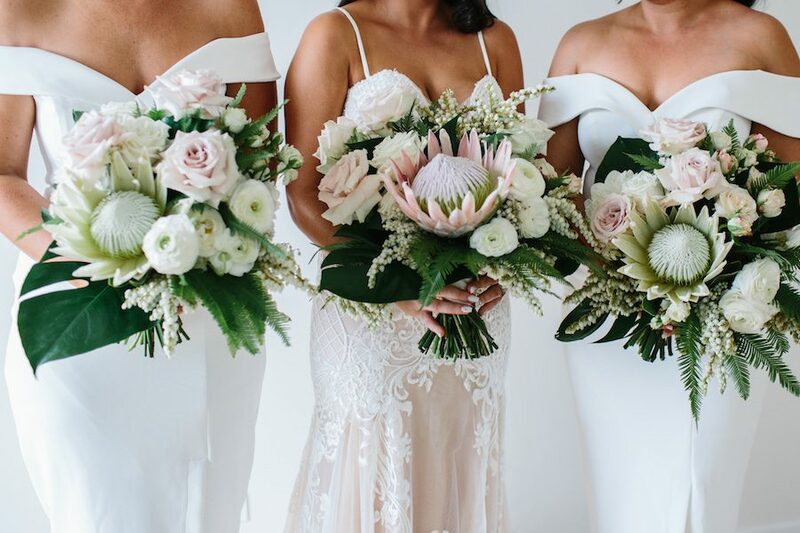 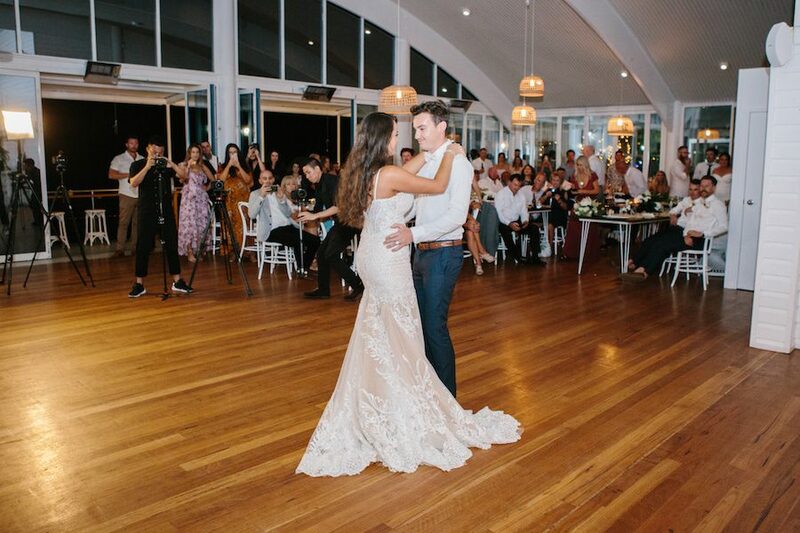 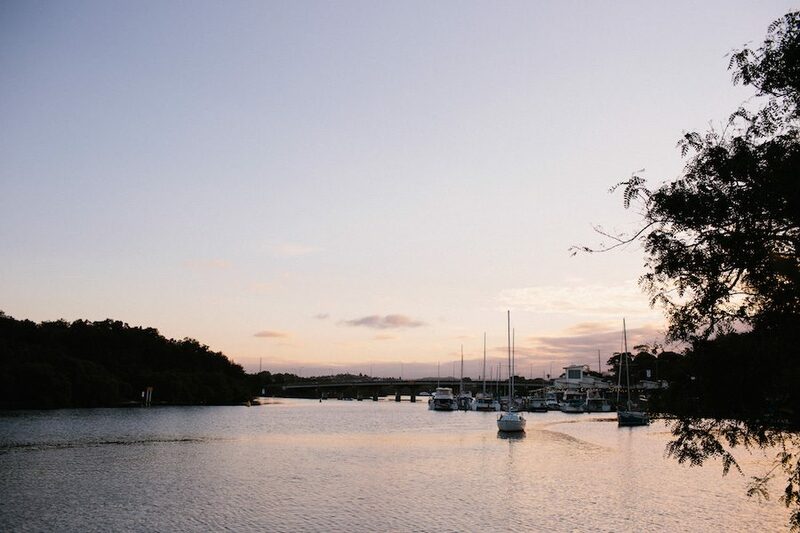 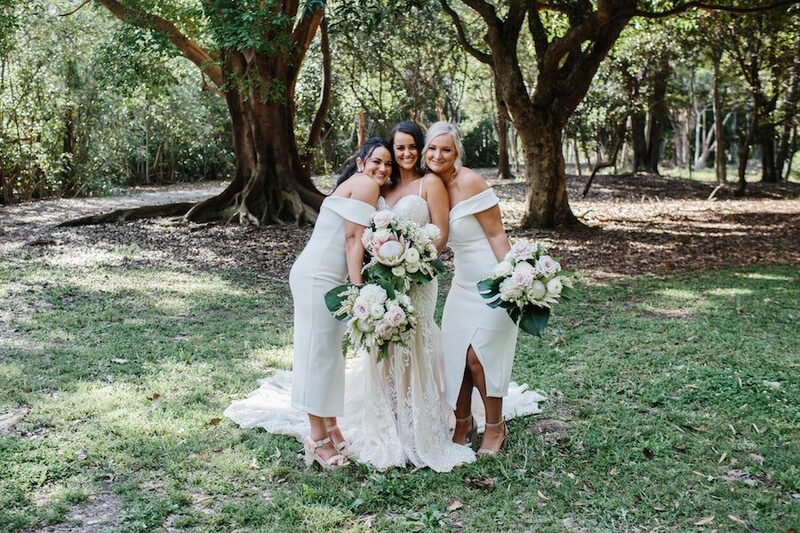 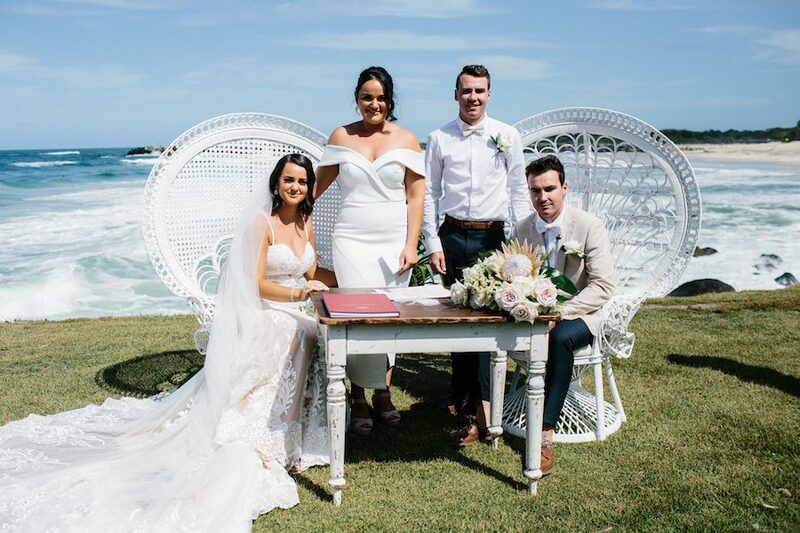 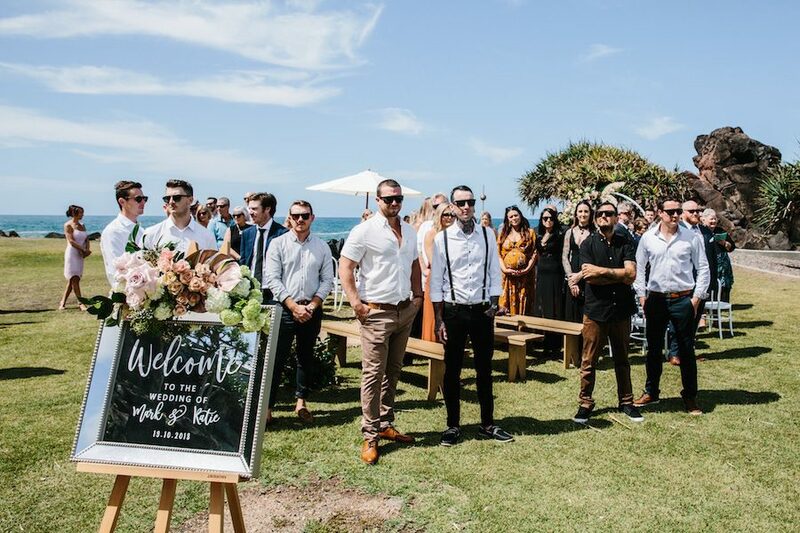 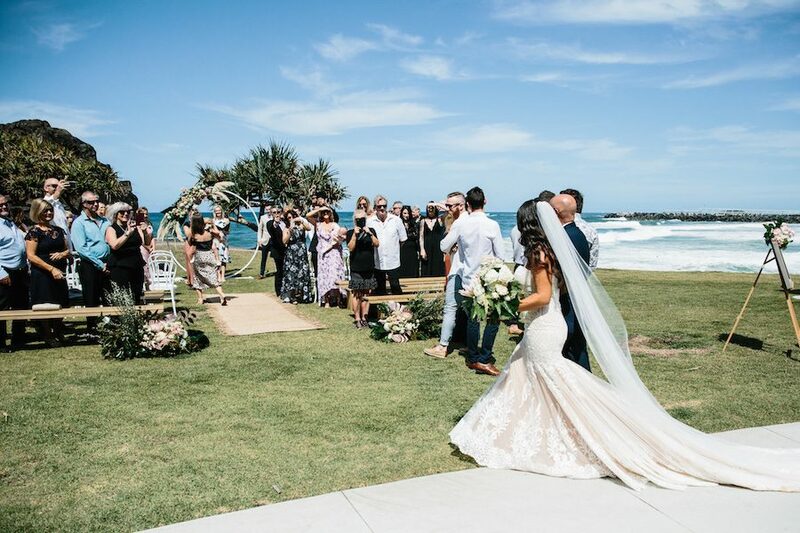 With access to some of the best beaches and waterways in the country, this real wedding most definitely maximises both. 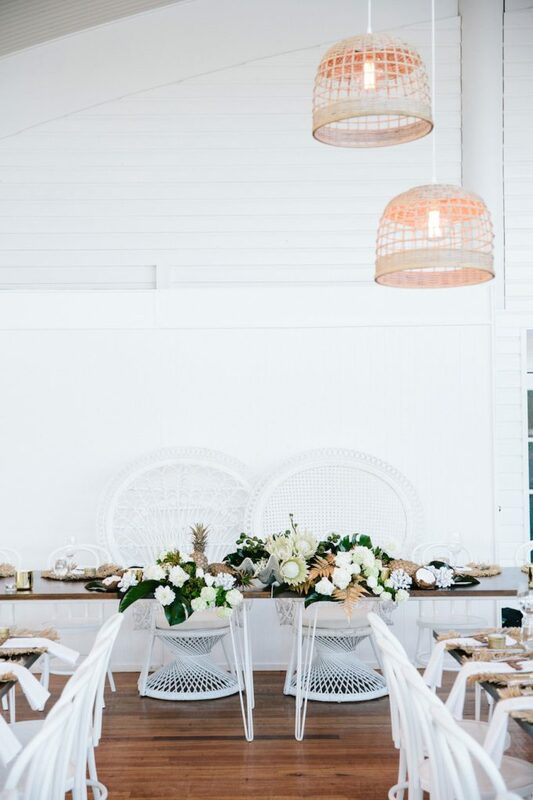 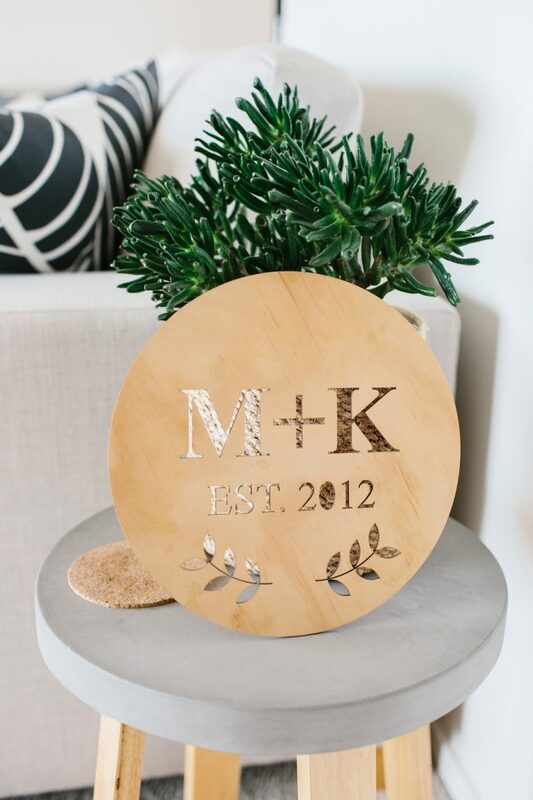 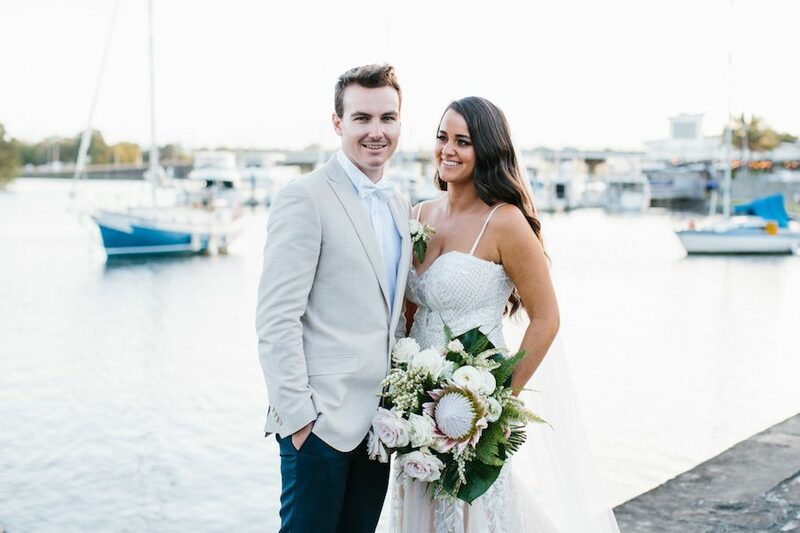 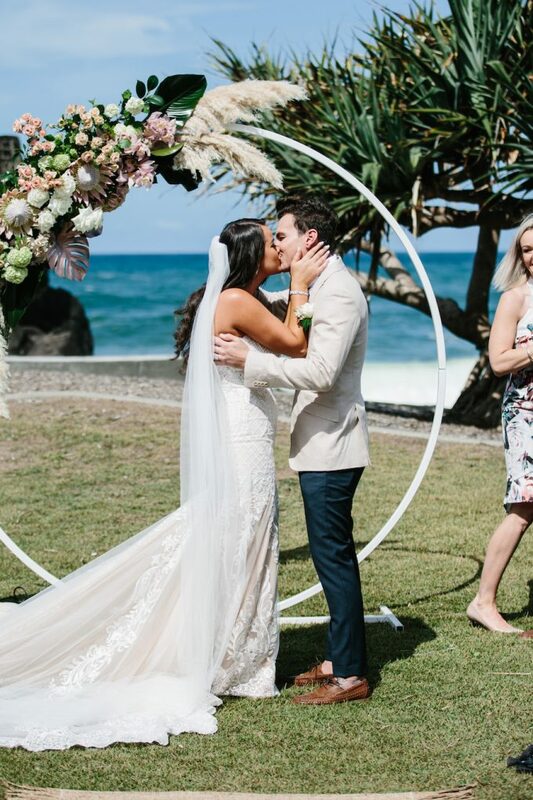 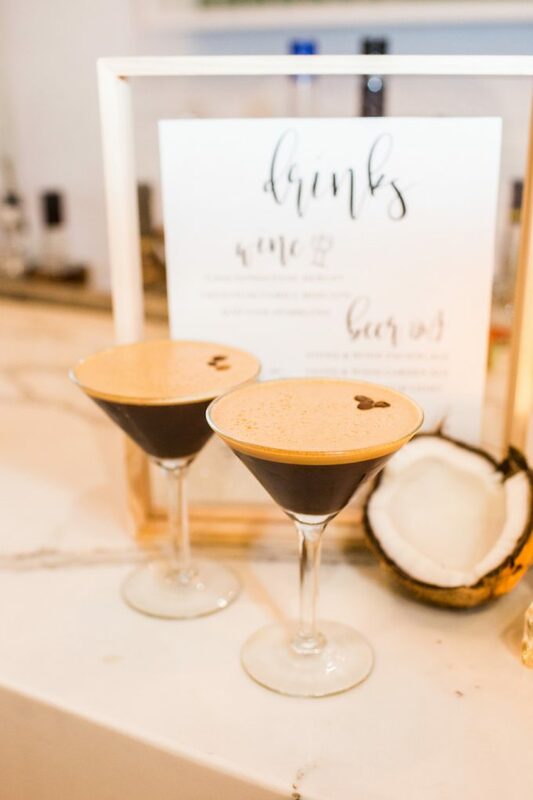 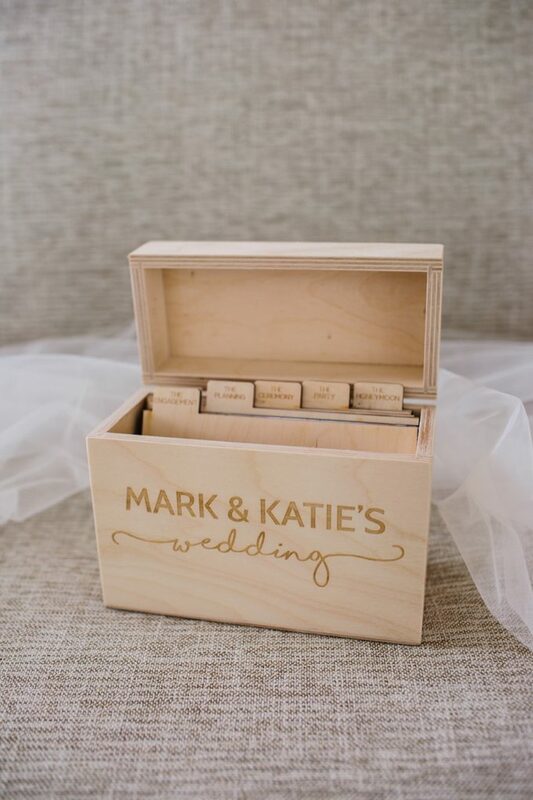 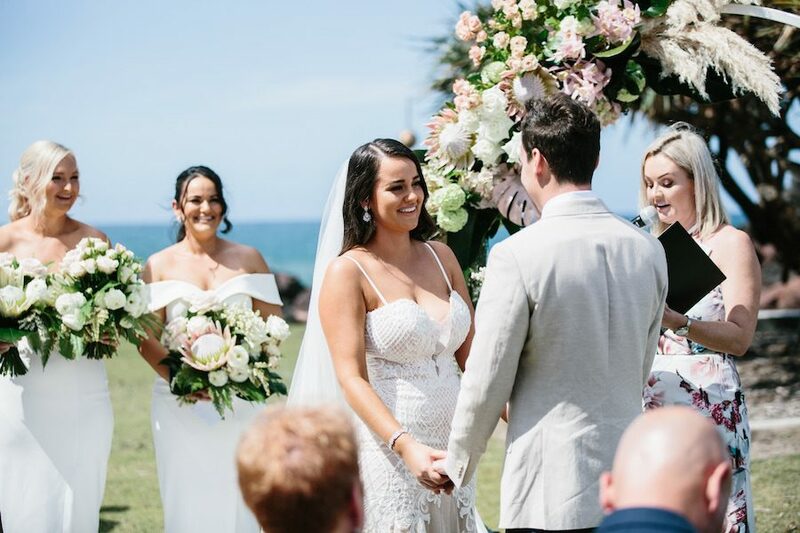 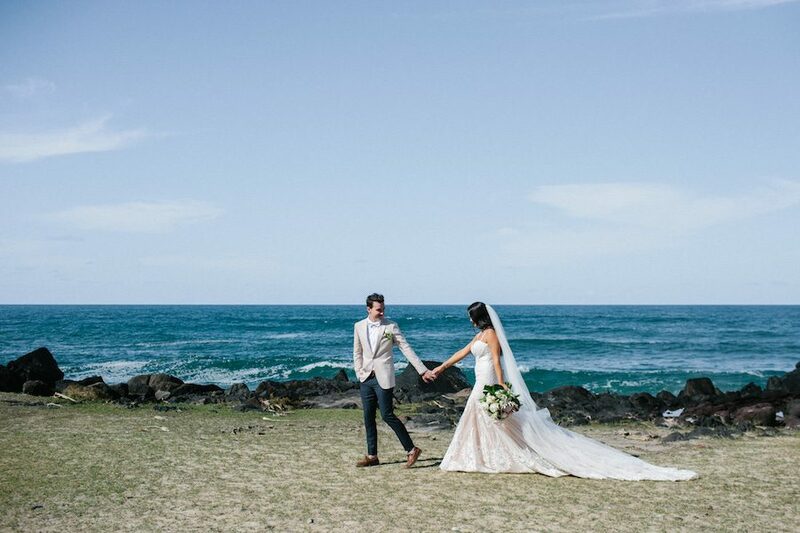 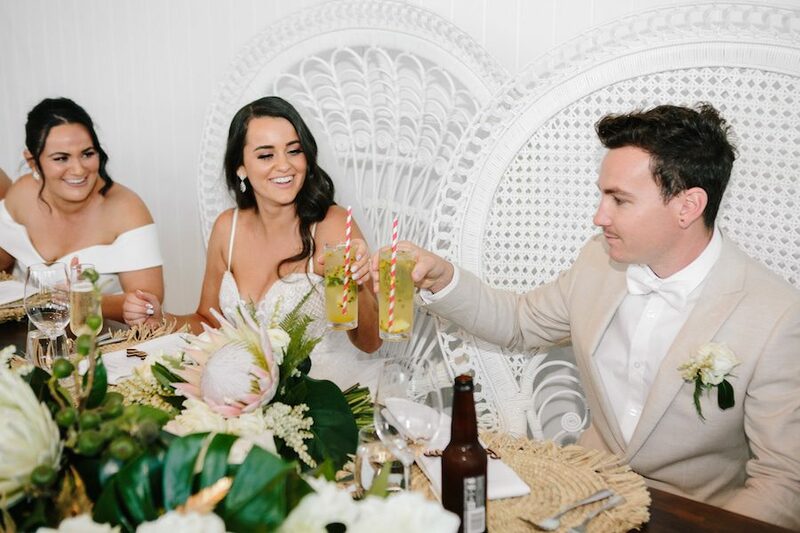 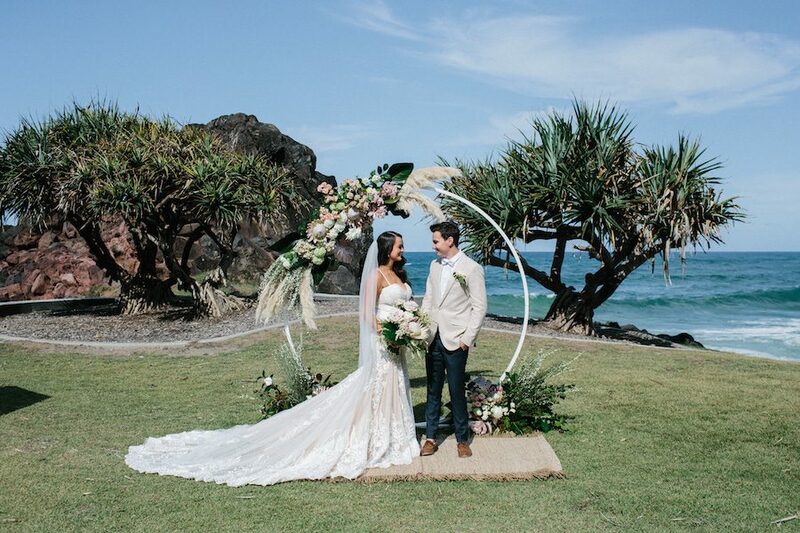 Their tropical beach ceremony location combined with their luxe riverside reception venue resulted in one seriously dreamy day for Katie and Mark, and we are so lucky to have them share it with us! 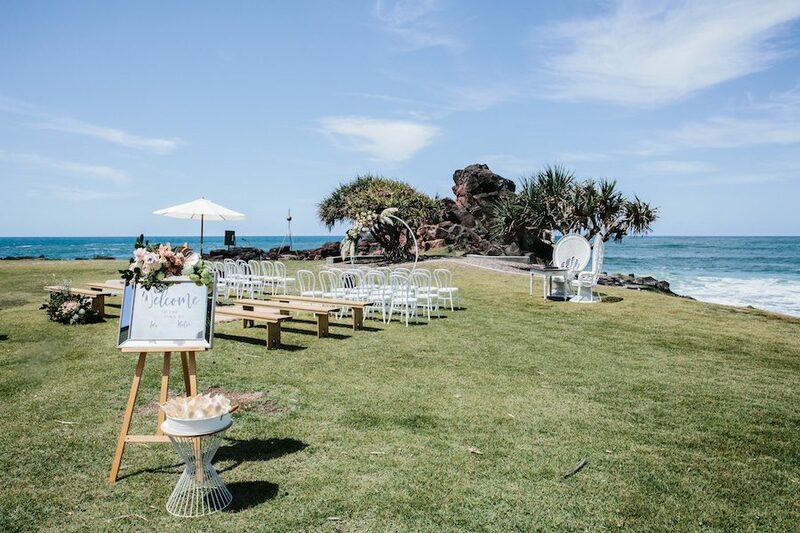 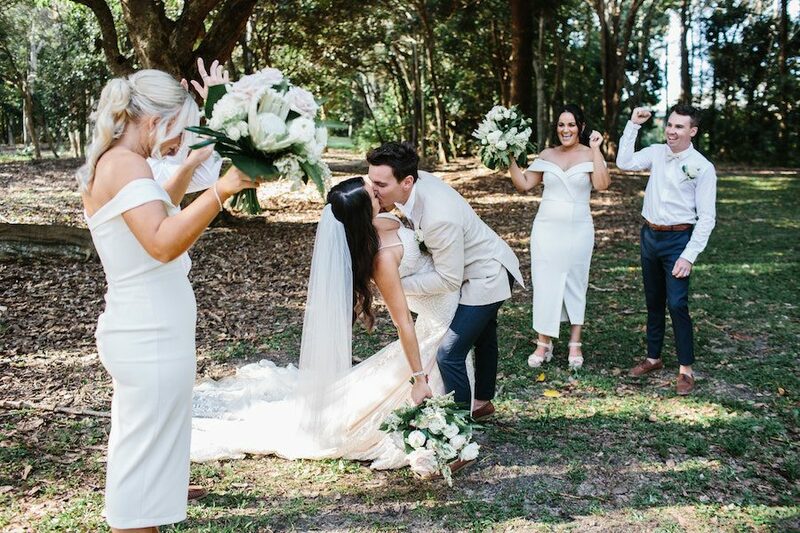 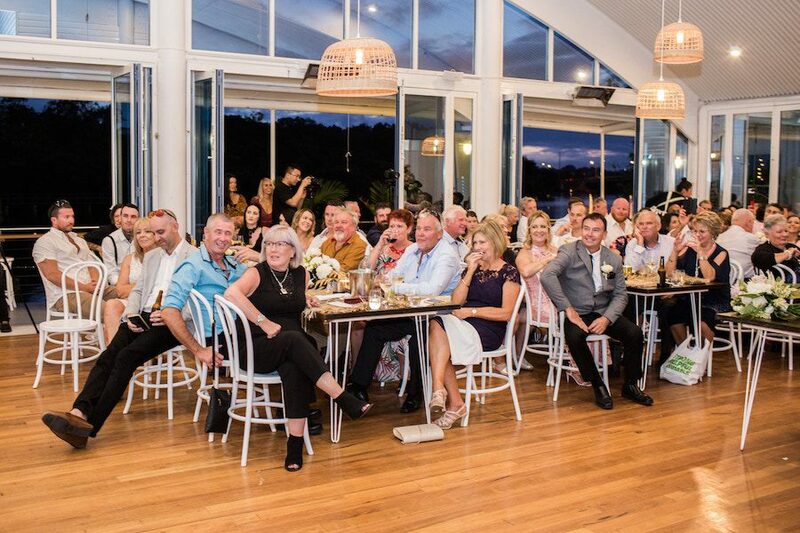 We got married in the beautiful and quiet Tweed Coast Area. 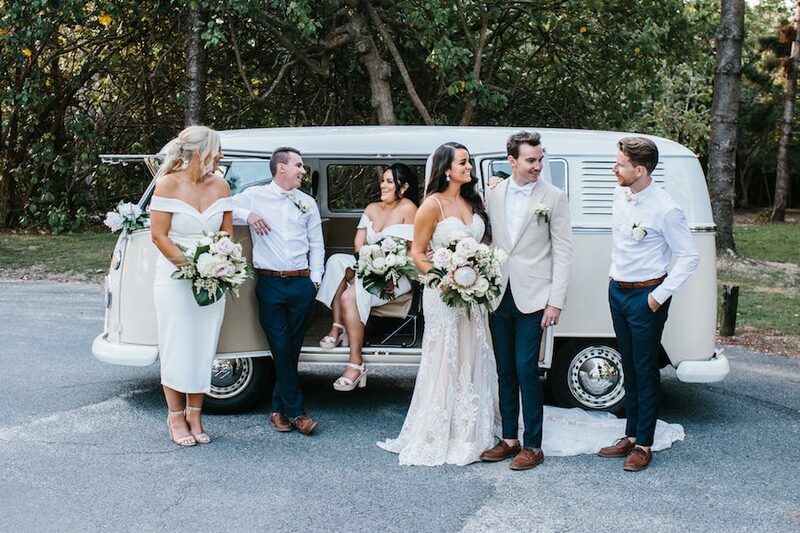 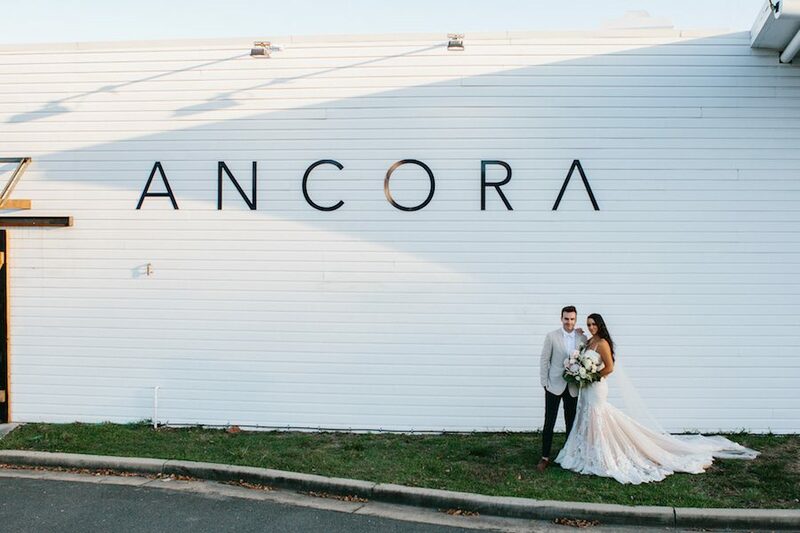 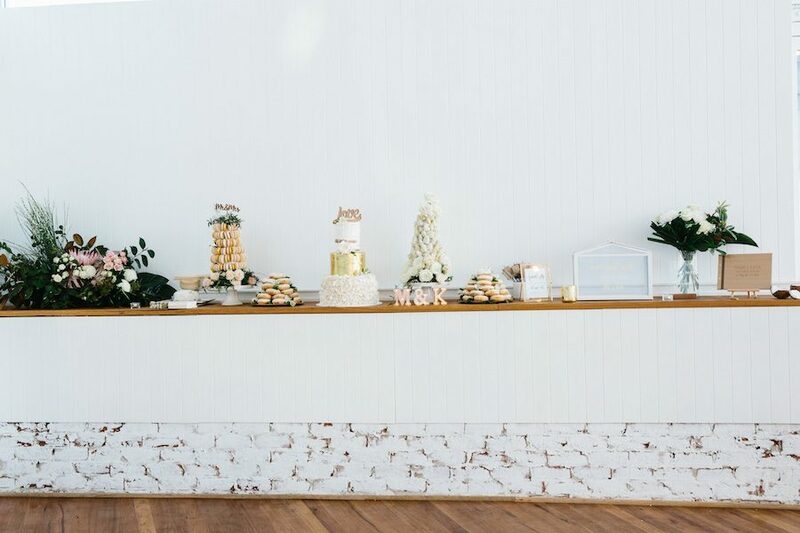 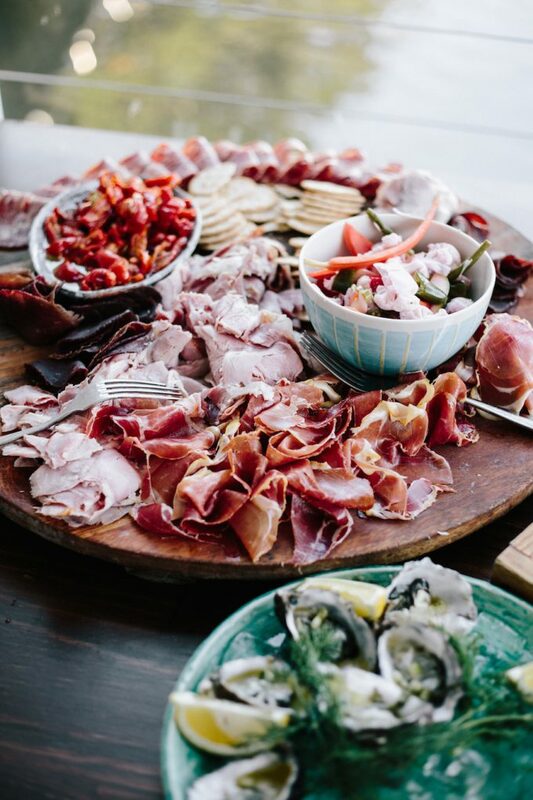 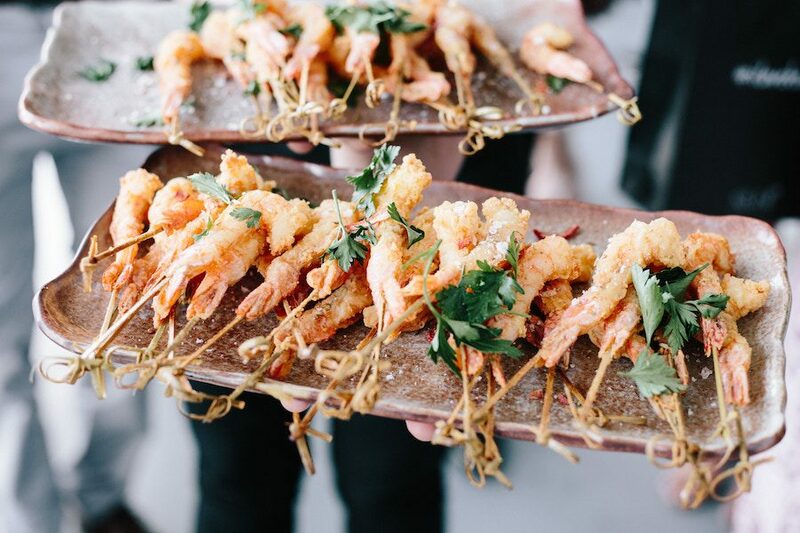 After visiting Ancora at the Tweed Wedding Trail at the beginning of the year we absolutely fell in love. 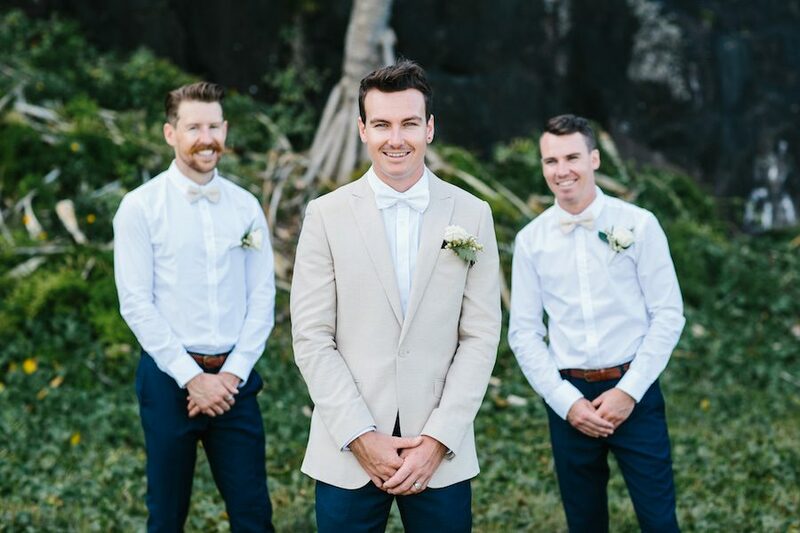 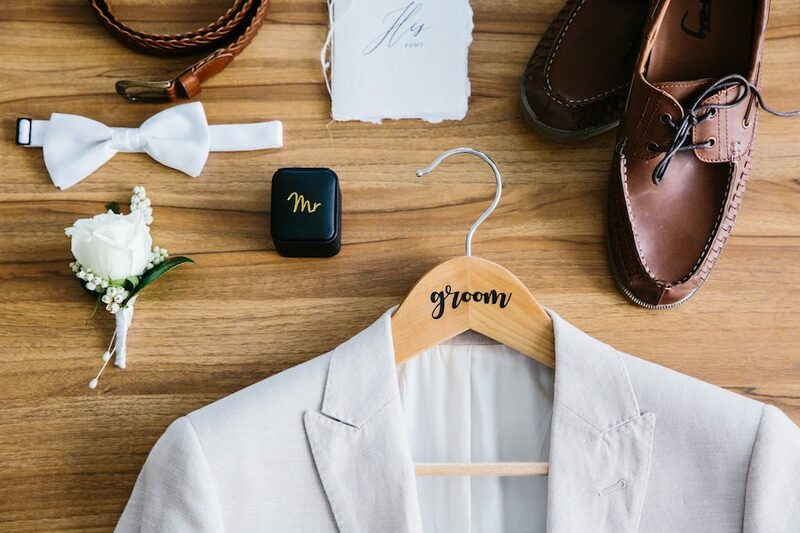 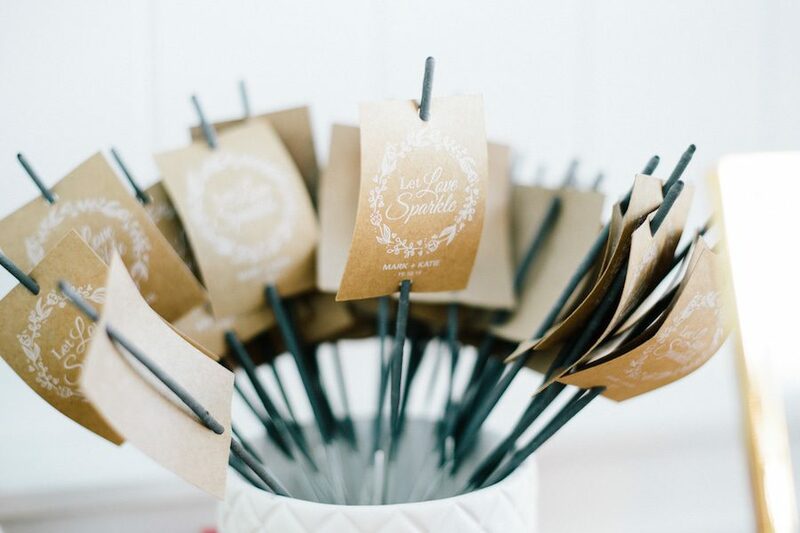 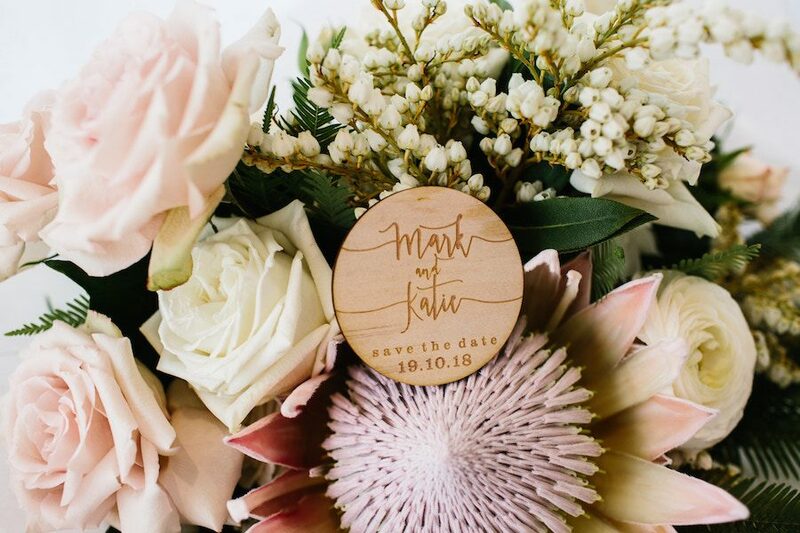 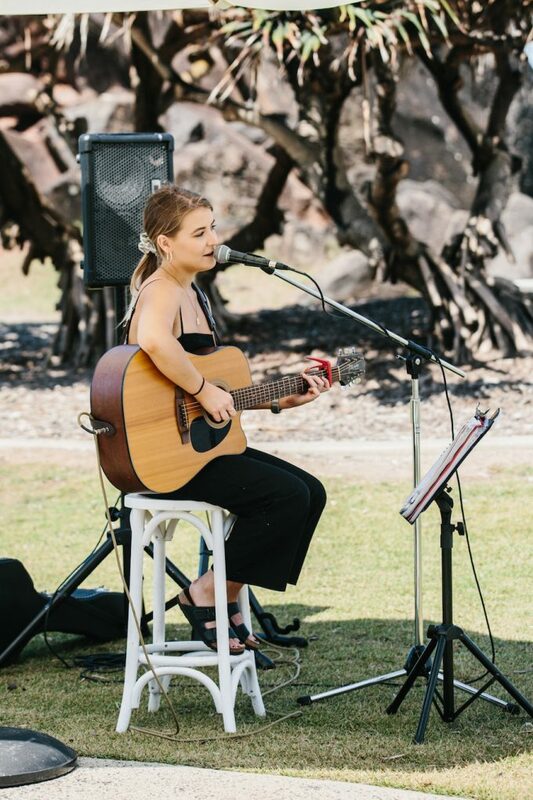 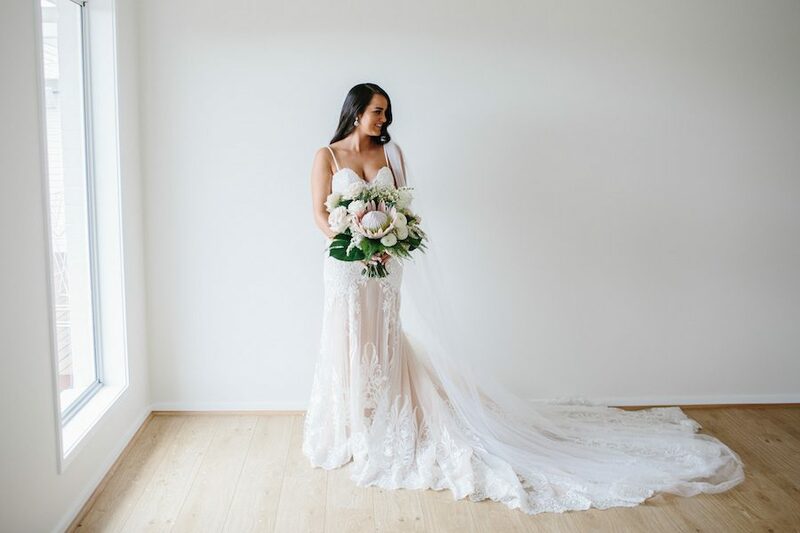 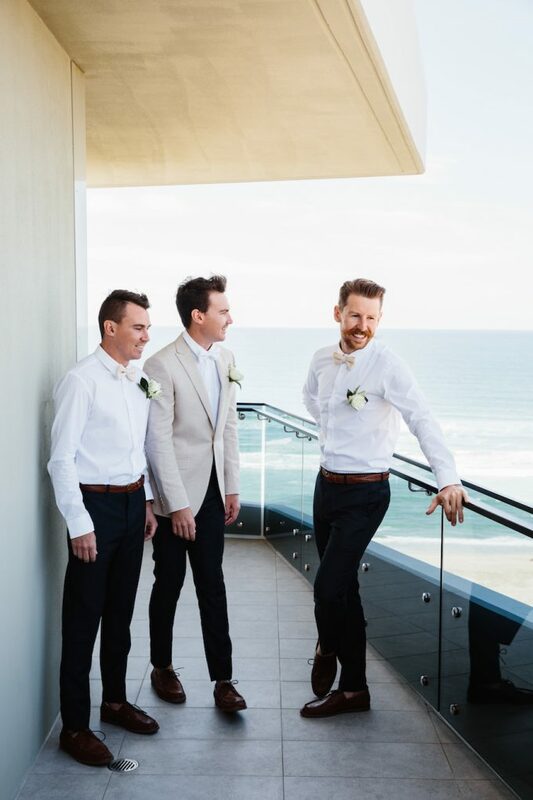 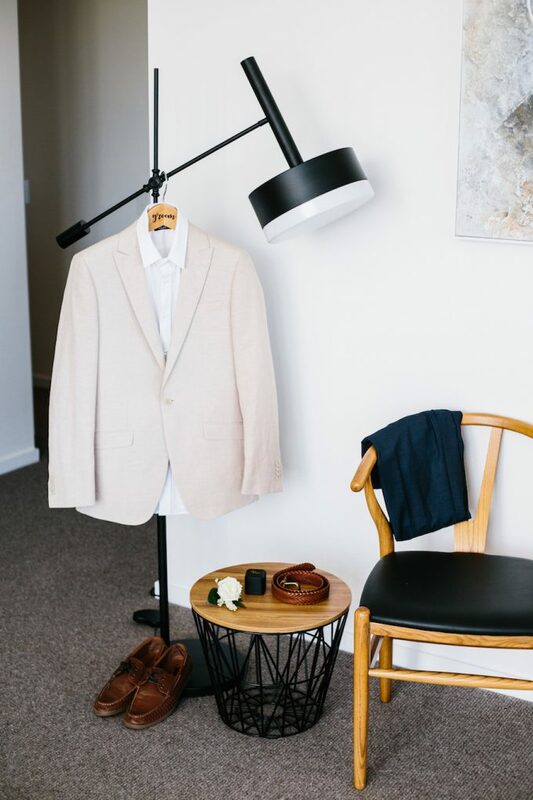 We wanted an outdoor ceremony and came across a beautiful park at the Point Danger Lookout. 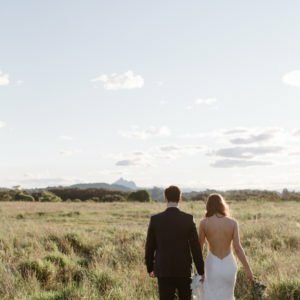 The park was perfectly named ‘Lovers Rock Park’ and it was stunning! 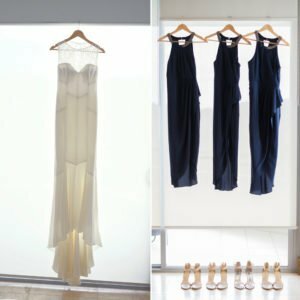 The week of the wedding was torrential rain. 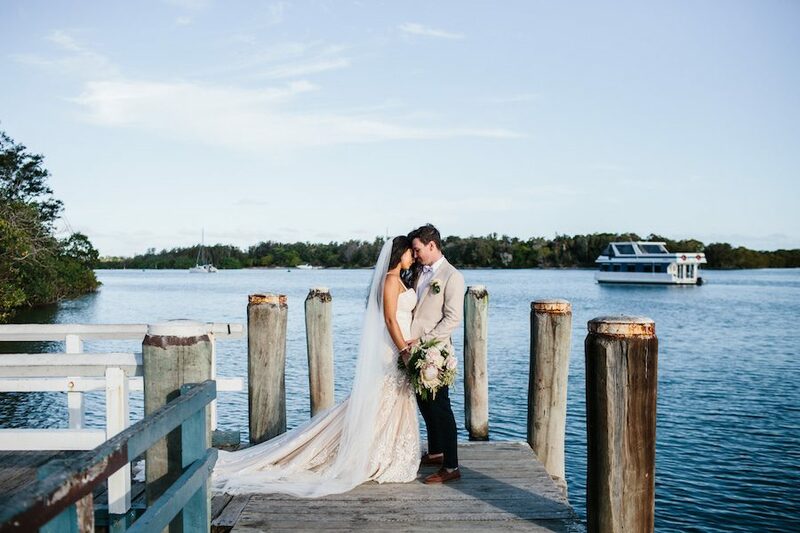 It was looking like Plan B was our only option as the Park was flooded the seas were rough and the rain didn’t stop (even up to the day prior) But, come the Friday morning the clouds cleared, the sun came out and it was the most perfect day we could have ever asked for. 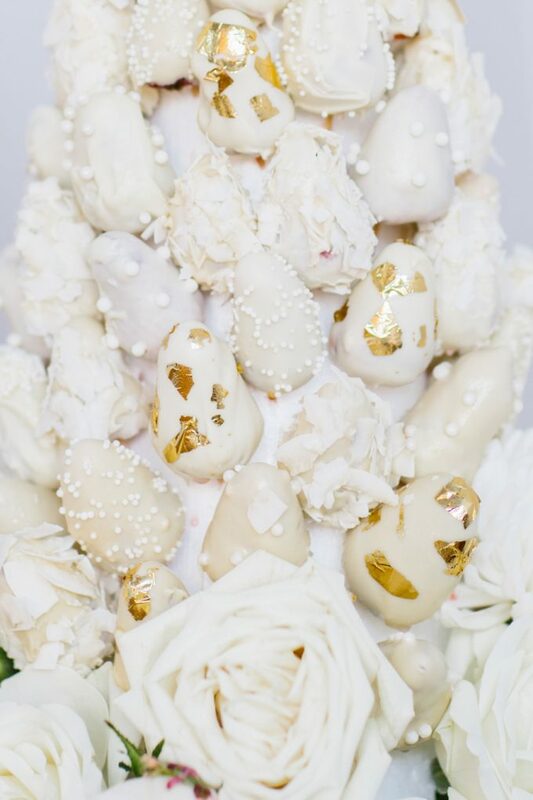 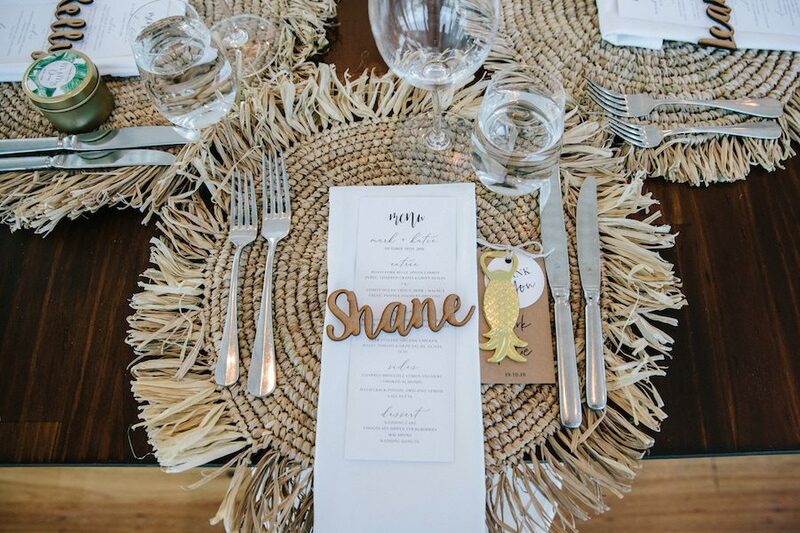 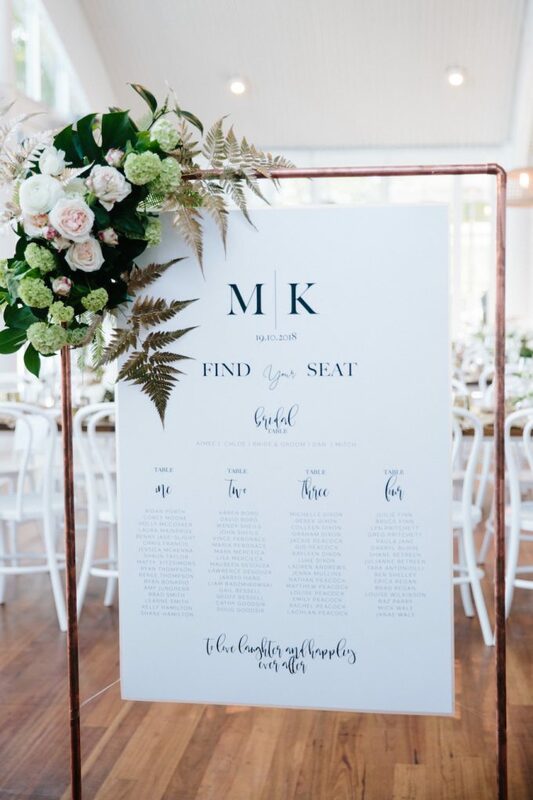 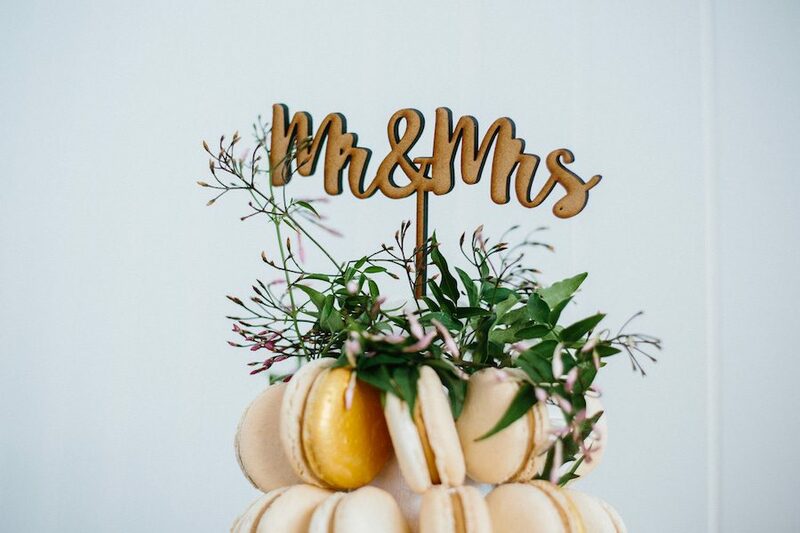 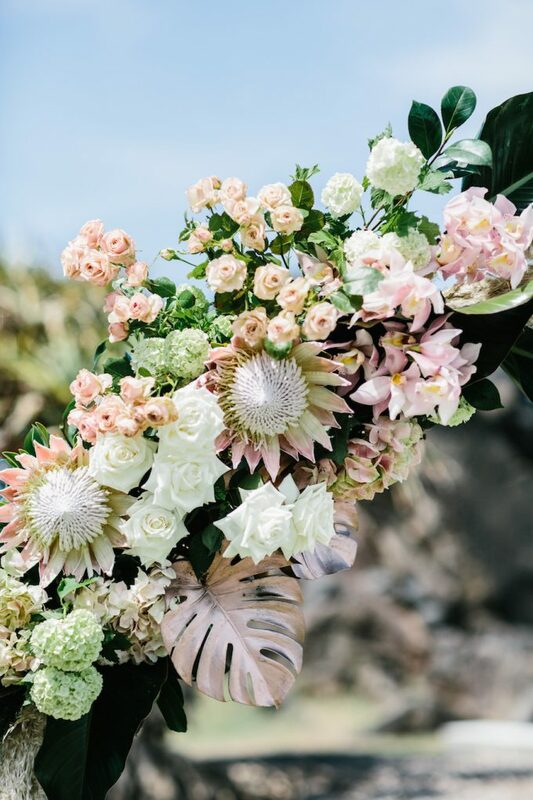 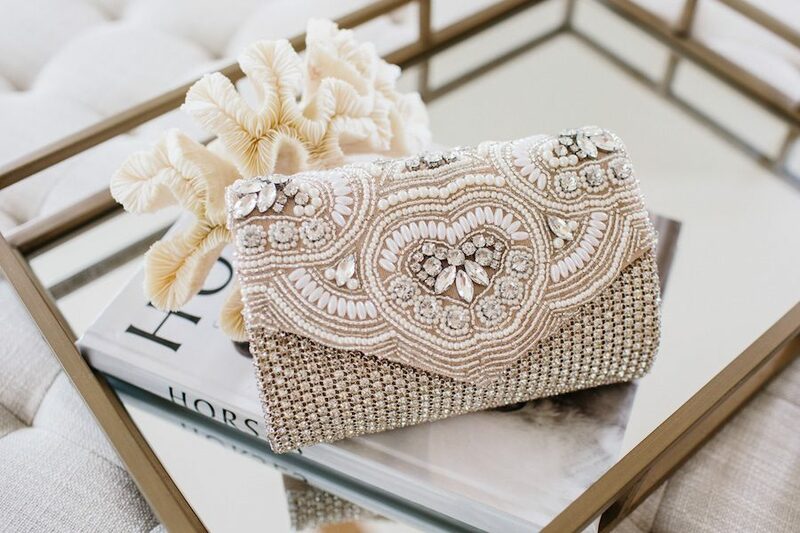 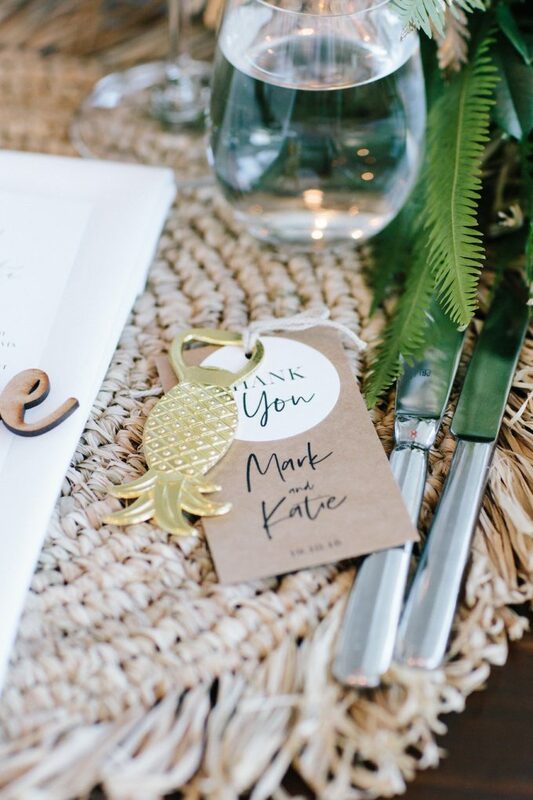 I would call the style of our wedding Tropical Luxe. 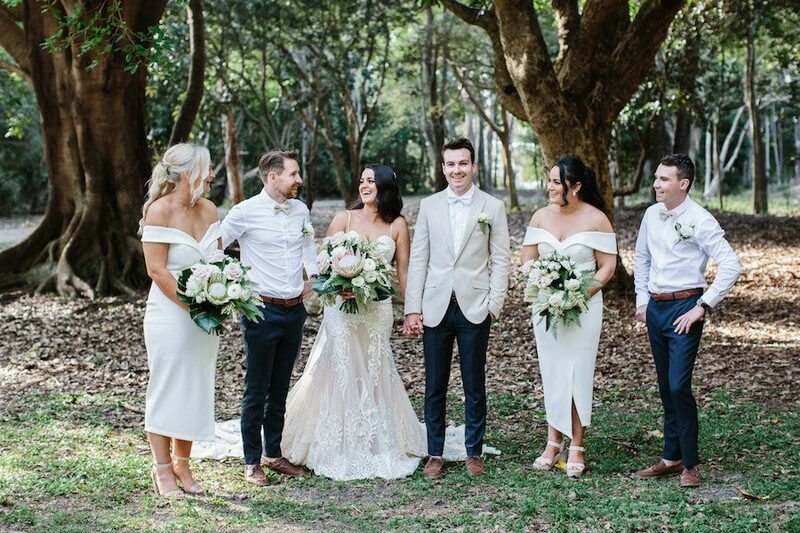 My colour theme for the ceremony was lots of green and whites with a splash of blush pink. 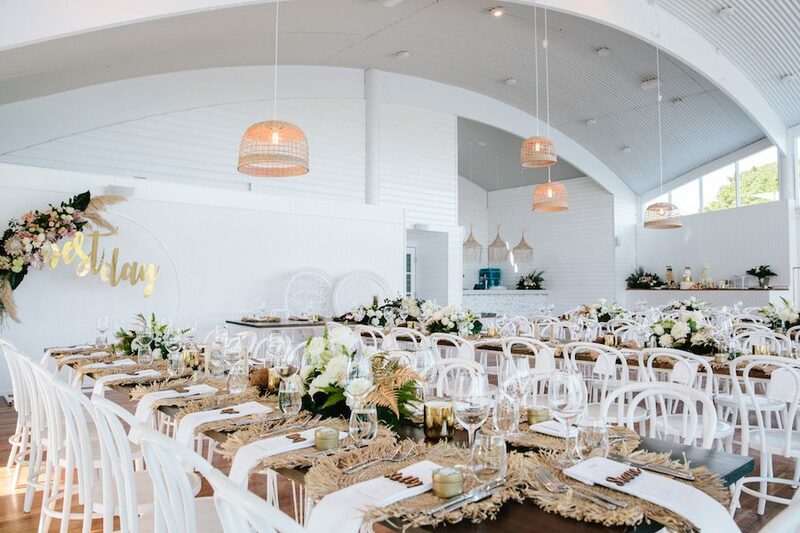 And for the reception, it was all about the green and white and a touch of gold to accent everything. 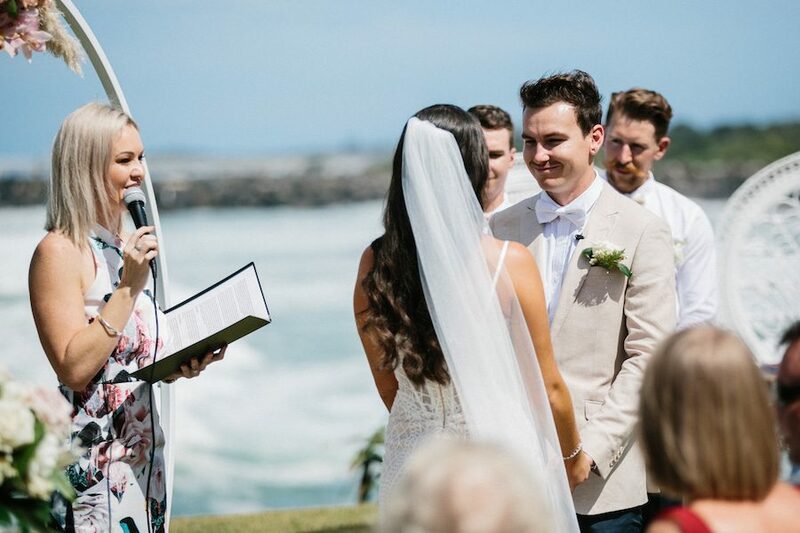 I walked down the aisle to Ed Sheeran’s Perfect sung by our amazing singer Eilish Ellen. 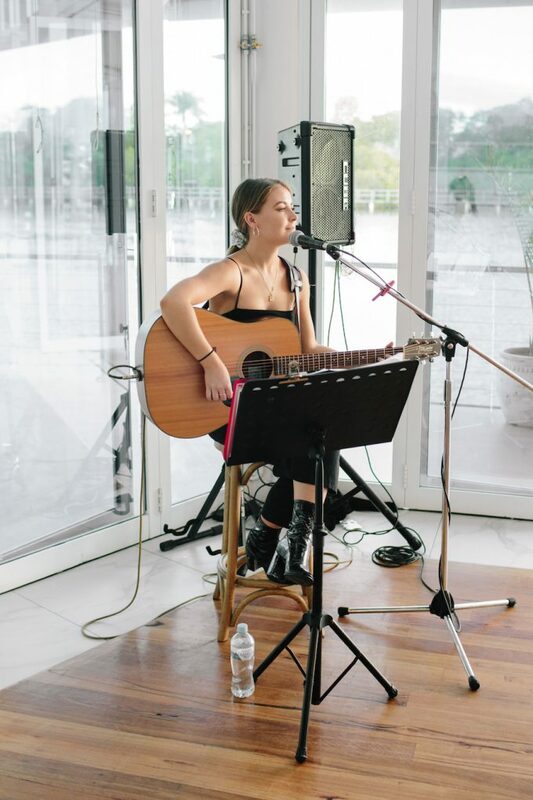 The lyrics of this song really resonated with me and it was a ‘Perfect’ choice! 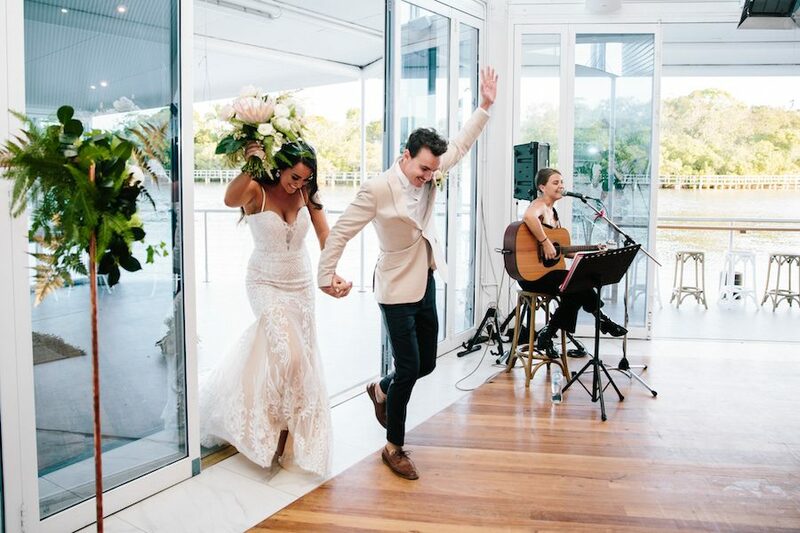 We both choose Aerosmith ‘Don’t Wanna Miss a Thing’. 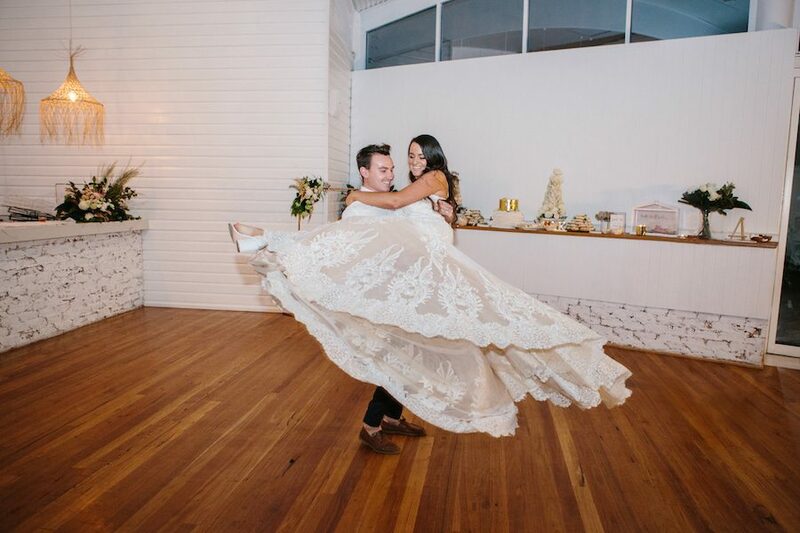 My husband wasn’t liking any of the lovey mushy love songs that couples would traditionally dance too. 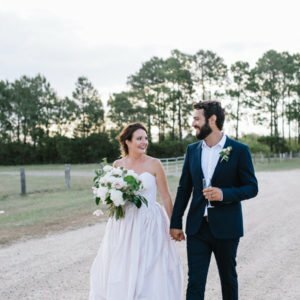 I remember looking for so long to find the right song for us and when I came across this in my searches I thought it was just suited to us. 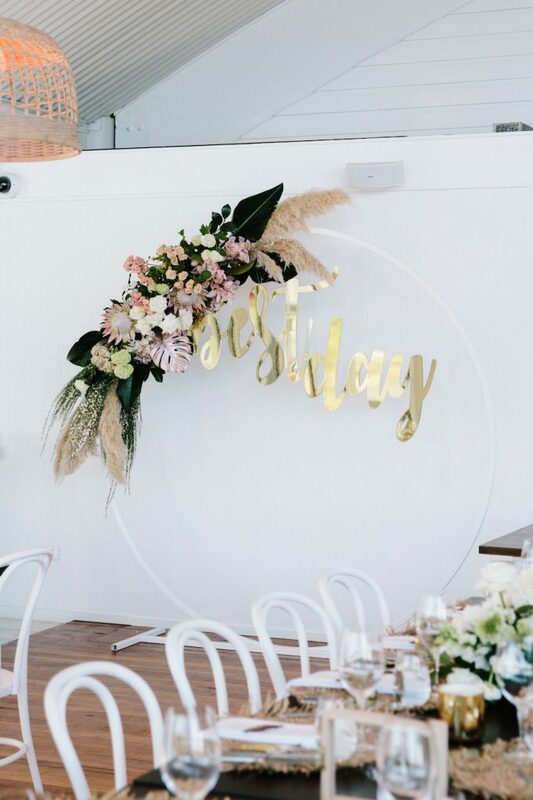 I did most of the wedding styling etc myself and had the help of Bliss and Willow on the day just to set it all up for me. 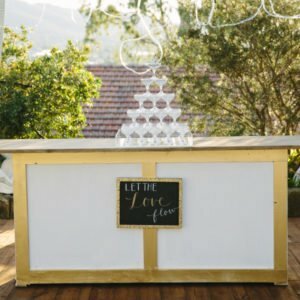 We made our own seating chart & stand, I made up all of the table numbers, bar signs etc, I made my own wishing well, confetti cones for the ceremony, bought all fresh coconuts and had dad open them up for the tables but most of all I made my own cake (and dessert table)! 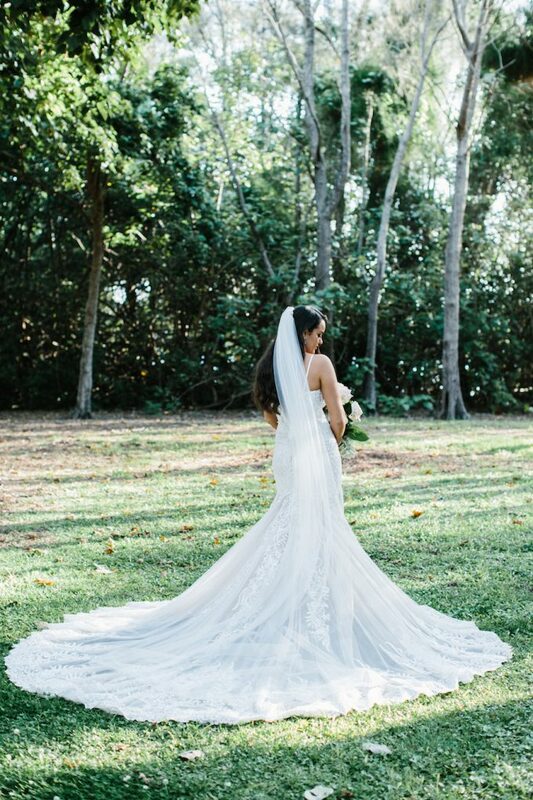 Would have to say walking down the aisle. 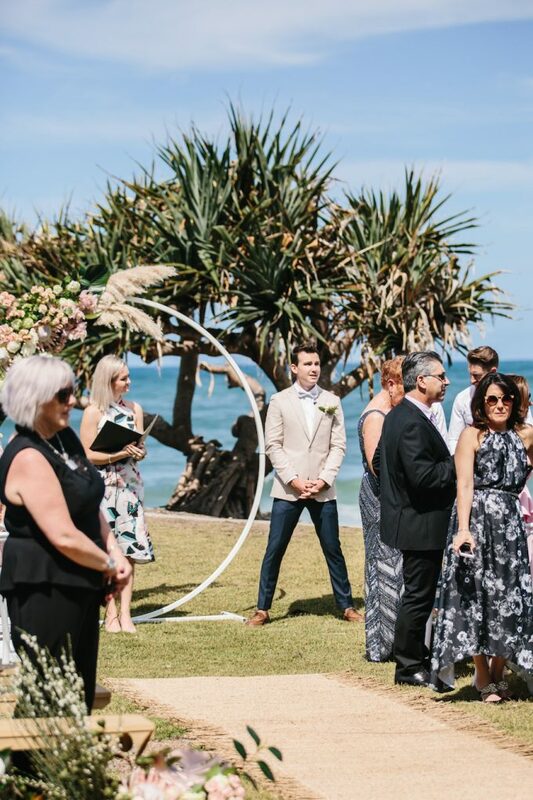 There is so much hard work and preparation for such a big day and it didn’t really hit me until I got out of the car to see all our guests, the beautiful ceremony that I’d thought of for so long and then my future husband standing there (in tears) waiting for me. 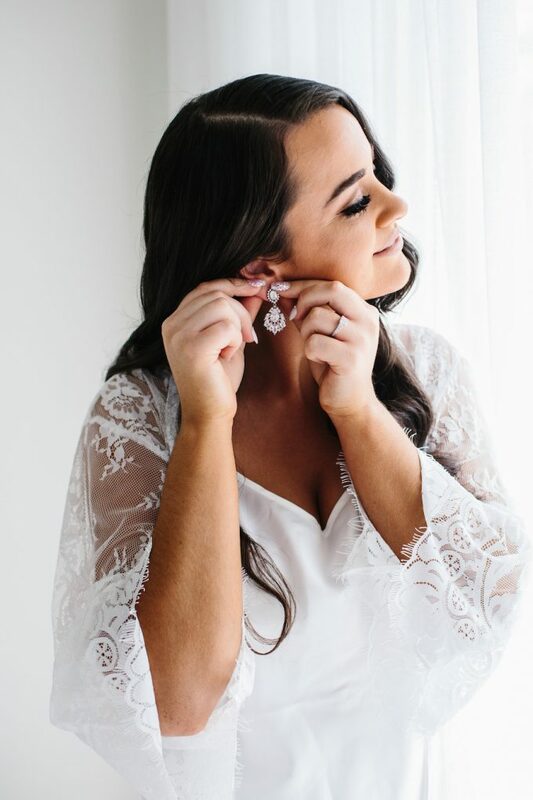 Such a surreal moment that I’ll never forget. 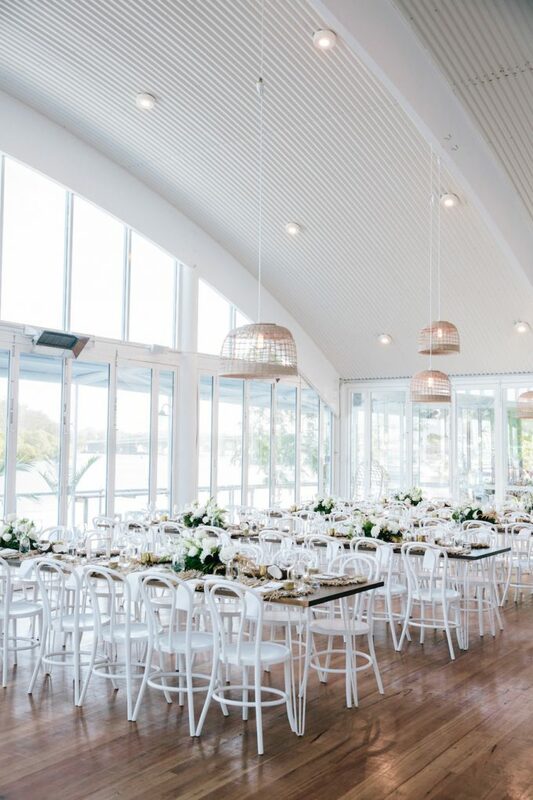 To check out more real weddings at this stunning riverside venue, click here.